If you would like to track your marketing campaign acquiring new members, you can do it using UTM parameters. UTM parameters are commonly used with Google Analytics and Google Ads. UTM provides an effective solution to track the performance of your different marketing campaigns. For example, you can know how many members sign up via your News Letter vs Facebook. If a visitor clicks on this link to go to your Member Web App, and sign up as a member. This member will be tagged with the above UTM information. You will be able to launch a marketing campaign based on this details too (This feature coming soon). Here is a simple tool by Google to create your UTM link. 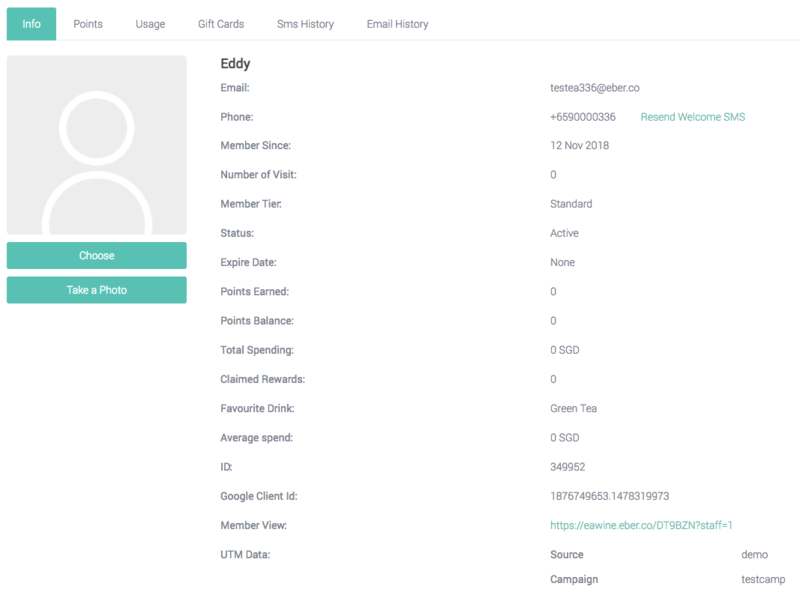 And this is an example of how the details will look like if a visitor signup as a member, take note of the last 2 member information - UTM Data. Since UTM is used by Google Analytics. If you have set up Google Analytics tracking code, you will see the tracking result in your Google Analytics too.